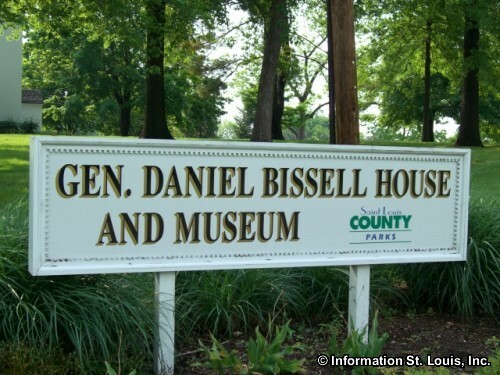 General Daniel Bissell came to the St. Louis area when he was appointed to be the military commander of the Upper Louisiana Territory. His post was at Fort Belle Fontaine which was located at the confluence of the Missouri and Mississippi Rivers. It was the first American military post established west of the Mississippi River. He was stationed at the fort when Lewis and Clark stopped there on their return journey of their expedition, on September 22,1806, the day before entering St Louis. 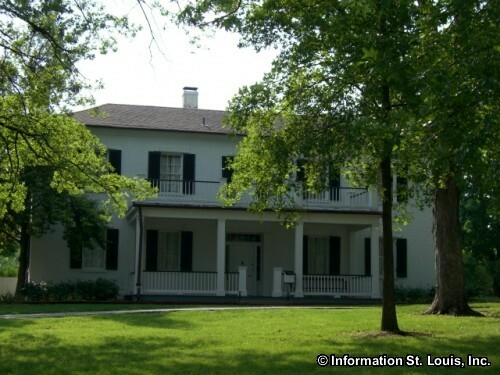 After leaving the military at the end of the War of 1812, he came back to the St. Louis area and built a two story brick home in the Federal style of architecture which was finally completed in 1819. The home has a distinct history in that it was occupied by the Bissell family for almost 150 years! 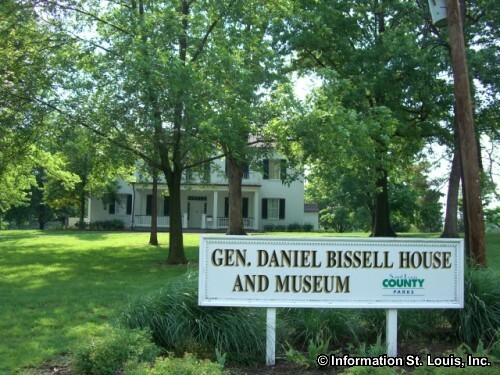 In the early 1960's the Bissell family gave it to St. Louis County with stipulations that it would always be a museum. In 1978 it was honored by being placed on the National Register of Historic Places. Today the General Daniel Bissell House can be seen during special events or private tours by appointment.